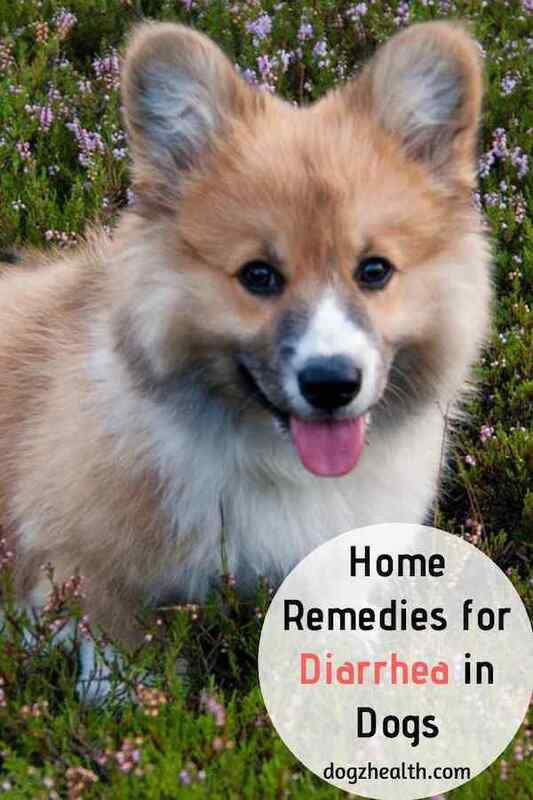 Simple dog diarrhea cures can be used to treat mild acute canine diarrhea at home. If you have a dog, you will no doubt have to deal with your dog having diarrhea once in a while. Usually, a sudden bout of diarrhea is nothing to worry about. It’s probably caused by your dog eating something he shouldn’t have. 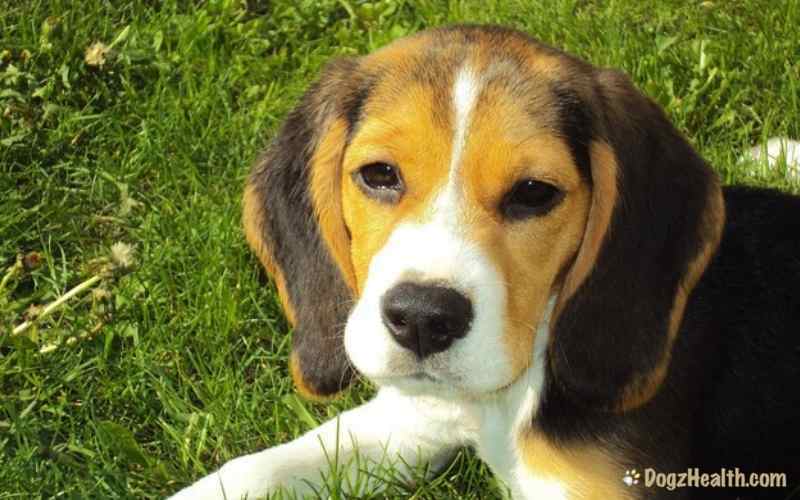 In such a case, you can usually safely treat him at home if the dog looks reasonably strong, happy and active. For chronic diarrhea, it is essential that you take your dog to the vet for a checkup to identify and deal with the underlying cause. Diarrhea continues for over 24 hours. Dehydration appears to have set in. The dog is weak or has a fever (103.5°F or above). The dog has diarrhea and is vomiting. There is blood in the stools. As mentioned in our page on Canine Diarrhea, most cases of acute diarrhea in dogs are caused by food indiscretion or food intolerance. Therefore, the most important step in treating this type of acute diarrhea is to rest the digestive tract for 24 hours by withholding all food. Dogs can do without food for at least 48 hours so fasting for 24 hours is not a problem for them. It is important to encourage the dog to drink water to prevent dehydration. You may also consider an electrolyte solution such as Pedialyte (dilute it by one-half with water and add it to the dog’s drinking bowl). Alternatively, make a simple electrolyte drink yourself by adding 6 teaspoons of sugar and half a teaspoon of salt to 1 liter (4.2 cups) of water. Give about half a cup of this electrolyte drink to your dog. One part of boiled ground beef and two parts of cooked rice. One part of boiled chicken (skin removed) and two parts of cooked macaroni or cooked oatmeal. Feed small amounts of this bland diet to your dog three to four times a day for the first two days. After that you can slowly switch the diet back to the dog’s regular diet. Anti-diarrheal medications such as Pepto-Bismol and Kaopectate can be used to regulate and slow down intestinal motility, and can be used to treat mild acute diarrhea in dogs. Recommended dosage is 0.5 to 1.5 ml per pound of body weight every 12 hours. Dogs with diarrhea often lose a lot of important nutrients such as vitamins and minerals. You may want to make a nutritious broth using vegetables and lean meat. Strain the soup and give only the liquid to your dog. As the broth is tastier than water, it also encourages him to drink more thus preventing dehydration. The herb slippery elm is very effective in treating mild cases of BOTH diarrhea and constipation. 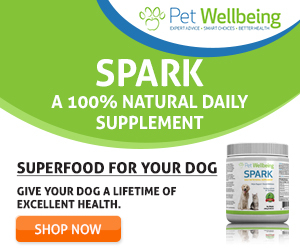 It is advisable to have the powdered form of this herb available at home so that it can be quickly administered to your dog. To use the powdered herb, simply add about 1 teaspoon of the herb to a cup of water. Boil the mixture in a small pot. Remember to stir occasionally. Then reduce the heat and let the mixture simmer (2-3 minutes). BM Tone-Up Gold – Dog Diarrhea Support is a natural herbal remedy that contains herbs such as mullein and marshmallow, and others, all of which promote healthy bowel functioning and digestive health. It is very effective in soothing the stomach, relieving diarrhea, and firming up stools. Feed your dog a well-balanced diet and avoid foods that may cause upset stomach in your dog (e.g. milk and other dairy products). Add probiotics such as live-cultured yogurt to her food. Alternatively, use a commercial product such as this Tummy Treats – Best Probiotics for Dogs as a supplement. Studies have shown that probiotics, or “friendly” bacteria, can help restore the balance of microflora in the dog’s intestinal tract, resulting in a stronger GI tract. If your dog has diarrhea due to digestive problems, try using digestive enzymes to aid proper digestion and absorption of nutrients. Do not overfeed your dog. Also avoid giving your dog foods high in fat and sugar. Do not allow your dog to roam to minimize the chance for him to ingest spoiled and rotten food. Make sure that your dog has clean drinking water. Wash his water dish every day to prevent diarrhea-causing bacteria from accumulating in the dish. Do not allow your dog to drink from water puddles, slow-moving springs or rivers since he can get viral or bacterial infections from these water sources.